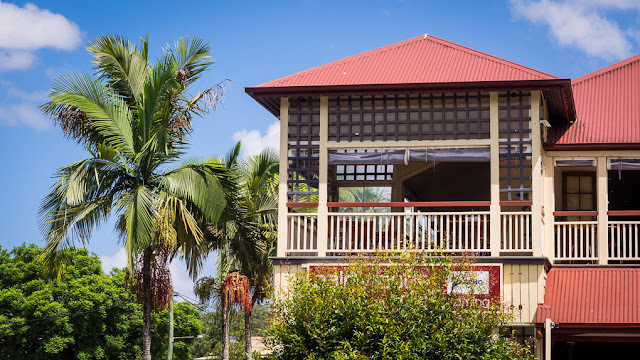 The hotel in Palmwoods says all there is to say about life in the sub-tropics! The colours go well with a blue sky. It would be good for the gardens.. Dogs just want to have fun. Waiting for the sun to go down. I must get the brand of his shampoo. It is with some sadness. Like painting your van with house paint. A holiday puzzlement for a pedant.